The IaaC Global Summer School Paris 2018 is an educational summer programme encompassing courses, lectures and workshops activities, for a two weeks period. The goal is to boost creativity and international opportunities for a selected pool of designers, architects, and engineers. Twelve Platform Members will be granted by The Distributed Design Awards. The programme case study is related to distributed food system, based on an environmental friendly perspective, investigating urban areas as spaces for interaction, work, culture, food production, and energy collection. According to the UN Food and Agriculture, 800 million people worldwide grow vegetables, fruits or raise animals in the cities, producing an astonishing 15% to 20% of the world’s food. Why and how can we design distributed food systems? Which strategy is capable to implement prominent urban agriculture? 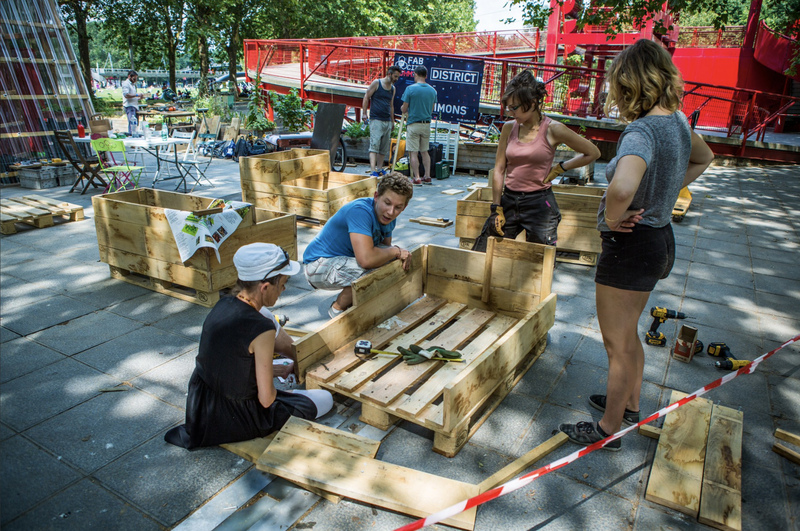 Applicants profile: Creative individuals interested in agriculture, urban planning, architecture, digital fabrication, design, and alike, who would like to engage with the creation of an ‘urban vegetable garden’ and investigate/fabricate new solutions. Attendees will also have the opportunity to experience the Fab City Summit (on the 11th, 12th, and 13th of July, at the famed Parc de La Villette), organized by the Fab City Grand Paris Association, the City Council of Paris, and the Fab City Collective. The summit represents an international gathering that brings together experts and communities of circular economy. GSS is a platform defined by ambitious, multi-scalar investigation on the implications of emergent techniques in our planned environments. Each year, international teams located in key cities around the globe explore a common agenda with projects that are deeply embedded in diverse local conditions. Because of this, participants have an international laboratory to test their design hypothesis, understanding how design conclusions derived locally can be tested and evolved globally in different cities where other teams reside. This intensive two week course connects each participant to ongoing research agendas in robotics, simulation, physical computing, parametric design, digital fabrication, and other relevant emerging design methodologies. Specific emphasis is placed on understanding the multiple implications of design conclusions, thus creating critical research advanced on the application of new technologies in design. IaaC Global Summer School is a full-time program that provides both practical and theoretical knowledge. Its structure consists in three main learning modules led by expert tutors and focused on research, use of programming tools and a final prototyping session. Each year the IaaC GSS launches one global brief that works as the main topic of the programme. Following this global brief, each node autonomously develop its own brief on which will developed its local program. The Global Summer School program also involves a peculiar plan of lectures, made by local and global lectures held by renowned professionals and academics relevant to the topics to be treated during the course. Global lectures will be broadcasted in the different node-cities, all globally connected. During the last day of the course, participants from all the nodes around the world will join a collective presentation of all the projects developed by each team followed by reviews of a renown jury. At the end of the course, participants will receive a Global Summer School Diploma.